Toshiba profits soar, Loewe reports a loss but plans to expand 3D TV range | What Hi-Fi? Toshiba notched up sales of Yen 4.7 trillion (about £4bn) in the first nine months of its fiscal year, which runs to March 31st. That's nearly a 210 per cent rise on the same period in the previous year. Operating profits rose 125 per cent to Yen 142.3 billion. The biggest boost came from electronic devices, including sales of flash memory and LCD panels for mobile phones and tablet devices. The news was less rosy at Loewe, which posted a five per cent drop in sales to €307.3m (around £262.2m) resulting in a pre-tax loss of €5.3m compared with 2009. The delayed launch of its new Individual TV range meant sales in the run up to last year's World Cup "fell short of expectations". However, the company's "Fast Forward" strategy – introduced last summer – led to to a profit of €3.8m in the final quarter of 2010. The company is now focused on bringing new technologies to market more quickly. 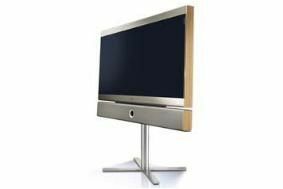 To that end, Loewe is planning to launch ten 3D TVs in the first quarter of 2011, and says it has eliminated sets from its range with standard backlighting, bringing in new models with LED backlight technology. It also aims to broaden its offerings in the convergence of internet and TV.